We hope this sitemap will help you and your dog sniff out what's of interest to you as well as find more topics that are not listed on the main sidebar menu. To easily find your way back for another visit, just add us to your bookmarks and you'll never lose us!. Or, click on the RSS feed in right column to be kept up-to-date on our news as it happens. Dog Beds and Furniture For Pampered Pooches! Designer Dog Sofa Beds, so you can reclaim your seat on the family couch! More Designer Dog Sofa Beds, for your dog's review! Dog Pillow Bed - Rover will love this heavenly snoozer! Dog Houses...from substantial to spectacular! 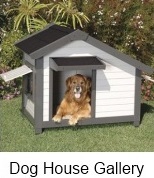 Dog House Gallery ...spoil Rover with a dog house to be proud of. Luxury Dog Houses - the Last Word in Custom Dog Houses. Dog crates...give your dog his own private den. A Dog's Got To Eat - 5 Star! Grooming - Looking Good From Nose To Tail! How To Groom A Dog...because pampered pooches wanna look grrreat! Natural Pet Products - To "Green-Up" Your Dog! Hypoallergenic Dog Shampoo - Clean Up Your Dog "Naturally"
Dog shampoos and conditioners for spectacular results. Dog Grooming Tools that make DIY dog grooming a snap! A Dog Dental Product Will Keep Rover Smiling and More Healthy! 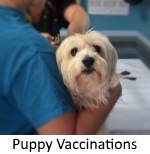 How to Get Rid of Dog Fleas Using Natural Dog Flea Remedies. Dog Massage.... give your dog a healthy massage...books to guide you. Small Dog Clothes..cool duds for cool small dogs...keep them stylish. GPS Dog Collars - An Intelligent Way To Keep Tabs On Your Dog! Hemp Dog Collars - Naturally Soft, Eco Friendly Too! Chic Leather Dog Harnesses - Avoid the tugging and Make walking your dog a pleasure. Small Dog Harness And Buddy Belt Listings at Ebay. Dog ID Tags Gallery, Add some dazzle and make your dog look special. Small Dog Carriers, Designer carriers for every social event. Who's In Charge - Your Or The Dog? How Could You - a must read article before getting a dog! Skunk Odor Removal - HELP! Care of Pregnant Dog.... What your Dog wants you to know. Aging Dog -When Your Dog Is In The Autumn Of His Years! Dog Shows ...Check 'em out, They're fun! Lawn care and dog urine...how to minimize the damage. When Rover misses his mark, don't get mad - get solutions to those indoor challenges. The "How-To" Of Dog Training! Potty Training Your Dog - Tips You Can Use. Dog Training Books - Handy ebooks That Are Instantly Downloadable! Dog Harnesses, Gentle Leaders And Head Collars - Great for basic training and discouraging tugging. Dog Selection - Tips To Help You Choose Your Dog. How Could You - a must read dog article before getting a dog. An Overview Of Pedigree Dog breeds....Man's Best Friend, All Of Them Remarkable! On The Road Again - Travel With Your Pooch! Dog Seat Belts, Car Seats and more, for pooches on the road. GPS Dog Collars - The High Tech Way To Locate Your Dog! Dog Day Care And Boarding... where pampered dogs go to play! Dog Day Care... where pampered dogs go to play! A Safe Dog Is A Happy Dog! Pet Ramps And Steps - Help a Doggie Out! GPS Dog Collars - High Tech Dog Locators! Some dazzling Dog ID Tags for your special pet. Care of Pregnant Dog.... What your Pooch wants you to know. Toy Dog Group - small dogs with Big personalities! Chihuahua - don't let the small size fool ya! Chinese Crested - Oh so sweet and affectionate. Very unique. Italian Greyhound, elegant ancient breed of Egyptian origin. Japanese Chin...ancient toy dog of the orient...Regal looking. Maltese...frequent passenger on sailing ships of old. Manchester Terrier...lively personalities, loyal companions. Papillon....very affectionate, smart and elegant toy dog. Pekingese...aristrocratic toy dog with amazing courage! Pomeranian... petite, cuddly, spirited. Poms..a lot in a small packet. Poodle...very smart and amusing. Poodles are loyal and loving. Pug...gentle, loving, protective. Pugs are fun and a little naughty. Silky Terrier...sweet, playful, curious and so much personality. Yorkshire Terrier...a lively cutie who likes to help around the house! An overview of the Terrier Group - dogs that are Spunky, Spirited and Never Dull! Airedale Terrier - King Of Terriers And King of Many Hearts! Australian Terrier - Feisty and Tough, With a Sweet Appearance! Bedlington Terrier, The Terrier With The Look Of A Lamb! Border Terrier, More Reserved Than Most Terriers. Bull Terrier, An Affectionate Dog Of Great Popularity! Cairn Terrier - Has A Face That Will Steal Your Heart! Dandie Dinmont Terrier - A Devoted and Affectionate Cutie! Glen of Imaal Terrier, Sturdy, Spirited and Playful! Kerry Blue Terrier - A Feisty And Entertaining Breed. Manchester Terrier - A Lively And Affectionate Companion! Miniature Schnauzer - Popular Obedient Companion And Excellent Watchdog! Norfolk Terrier, One Of The Cutest Dogs By Far! Norwich Terrier - An Extremely Popular and Lovable Dog! Parson Russell Terrier - A Familiar Dog On TV Sitcoms Or In The Movies! Scottish Terrier - Very Loyal, Intelligent and Loves Companionship! Sealyham Terrier - Friendly, Loving, Loyal And A Good Watchdog! Skye Terrier, He Will Give You Undying Devotion! Soft Coated Wheaten Terrier - A Dog You'll Love To Touch! Staffordshire Bull Terrier - An Affectionate And Devoted Family Companion! Welsh Terrier, Full Of Affection And Always Ready To Go! West Highland White Terrier - Very Popular, Charming and Opinionated! Wire Fox Terrier - Most Best In Show Awards at Westminster Dog Show Than Any Other Breed! An overview of the Hound Group - dogs that were companions to Pharaohs in ancient times. Afghan - Great dog for jogging! American Foxhound - The Dog With The Melodious Voice. Basenji - The Dog That Can Yodel. Basset Hound - A Laid Back And Lovable Hound! Beagle - Deeply Affectionate And Highly Energetic! Bloodhound - The Scenthound de Jour! Borzoi - A Hound With Regal Elegance! Dachshund - He'll Outsmart You If You Let Him. English Foxhound - Independent and Spirited. Irish Wolfhound - A Giant Among Dogs! 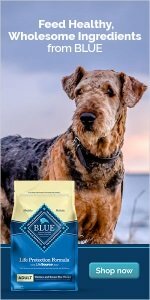 Otterhound - A Lovable Dog and Swimming Companion! Petit Basset Griffon Vendeens - Hardy, Loyal and Irresistible Little Dogs. Rhodesian Ridgeback - The Courageous Lion Dog! Scottish Deerhound - One Of The Best Natured Family Dogs! Whippet - A Near Perfect Family Dog! An overview of the Sporting Group - attractive, intelligent outdoor and companion dogs. American Water Spaniel - A Gentle Retriever On Land Or Water. Cocker Spaniel, A Free-Spirited And Sweet Little Dog! English Setter - Graceful, Loving and Gentle! Field Spaniel - Gentle, Funloving And Built For The Active Life! Flat-Coated Retriever, Intelligent, Loyal, Versatile And Forever Young! Golden Retriever - A Most Popular Family Dog. Gordon Setter - A Renowned Setter, As Well As A Great Family Dog. Irish Water Spaniel - Intelligent, Vigorous And Fun-Loving. Irish Setter - A Beautiful Dog For Active Families. Labrador Retriever - He'll Fetch The Paper For You! Nova Scotia Duck Tolling Retriever - He Has An Enticing Way About Him! Spinone Italiano - Excellent Retriever and Affectionate Companion! Sussex Spaniel, A Very Smart And Sociable Dog! An overview of the Herding Group - dogs that could help babysit the kids! Australian Cattle Dog - Highly Prized For His Working Abilities. Australian Shepherd - He Loves To Do A Job! Bearded Collie - A Very Sociable And Entertaining Family Dog! Belgian Sheepdog - The Black Sheepdog Of The Family! Belgian Tervuren - A Delightful And Multi-Talented Sheepdog! Border Collie - An Intelligent Dog For Active Families! Bouvier des Flandres - An Impressive Herding Dog! Briard - He'll Herd You Out The Door To Get A Walk! Canaan Dog - Was He Queen Jezebel's Companion? Cardigan Welsh Corgi - A Tough Dog In A Small Package! Collie - His Glorious Coat Is A Sight To Behold! German Shepherd Dog - A Much Admired And Intelligent Dog! Pembroke Welsh Corgi - A Herding Dog Of Substance! Polish Lowland Sheepdog - Or, Polski Owczarek Nizinny! Puli Dog Breed - His Coat Is His Signature! Shetland Sheepdog - Smart, Sweet And Pretty! American Eskimo Dog - A Great Watchdog And Loving Companion. Bichon Frise - Smart And Affectionate! Boston Terrier - A Classy Little Gentleman! Bulldog - A Stalwart Companion! Chinese Shar Pei - He Doesn't Stress Over Wrinkles! Chow Chow - A Lion Of A Dog! Dalmatian - Energetic And Very Smart! Finnish Spitz - Has Been Known To Yodel! Keeshonds - The Dutch Barge Dogs! Also known as the Mexican Hairless. How Many Toys Does One Spoiled Dog Need? Read about Troy, a really smart Shetland Sheepdog aka:"Sheltie"